Welcome to the show, it’s Tag Tuesday and we are going to do some state breakdown. Today Brady Miller of goHUNT joins me to talk about the great state of Colorado. Brady has had some awesome hunts in Colorado the last couple years. In fact goHUNT just released a great film on Brady and Seth’s Colorado hunt last year called Four Camps. 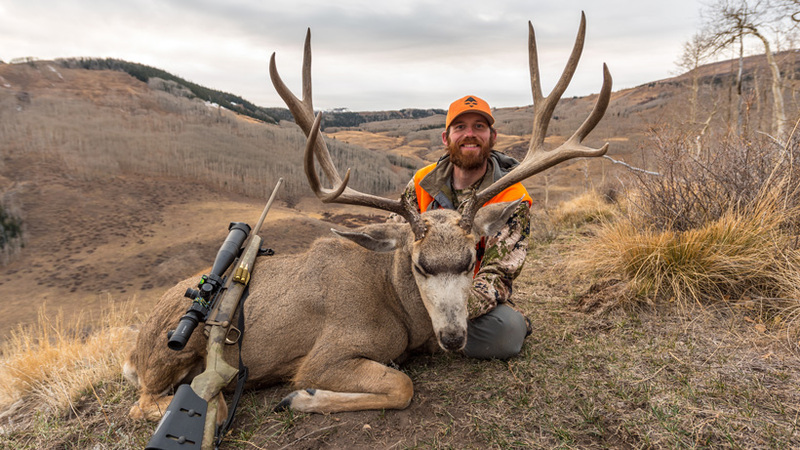 Brady shares a bit of the struggle of that hunt with us and we talk about the decision to go 2nd season over 3rd season for mule deer and various other factors to consider when applying for Colorado. Including some big changes that are going to affect the draw odds this year for a lot of hunts. Huge thanks to goHUNT for making Tag Tuesday possible. goHUNT Insider is a tool I constantly use this time of year and is a must have for me when mapping out my season. goHUNT is I am constantly searching for hunts and using the filtering tool to find new hunts, compare hunts, research areas and for me it is hands down worth the money. On top of the tools that I use within goHUNT the insider articles on Gear breakdowns, application strategy and all kinds of current events are awesome. I highly recommend you sign up and become a goHUNT insider it will change the way you find hunts forever. I laugh when people say there are no good hunts without having a pile of points. This year mainly because of my goHUNT membership I have more good hunts than I do time. I’m not saying I’m not going to do them all but I probably shouldn’t thats for sure. Support the podcast go become an insider use our promo code TRO and get $50 in your account to use in the goHUNT gear shop. This episode is also brought to you by Backcountry Fuel Box. If you don’t know Backcountry fuel is my new project. It is a monthly subscription box for backcountry food. Our first box, which ships out today! was a huge success we actually sold out of boxes last week! I couldn’t believe it, you guys are so awesome. Thank you guys for all the support, we have had so many messages from people as excited as we are to start getting boxes. If you were lucky enough to get a March Box before they sold out we have some great products in there that I bet many of you have heard about but haven’t tried yet. Companies like Heathers Choice, Off-Grid Food Co who make a killer breakfast option thats light weight and health. The New Wilderness athlete Re-Bars are in there, Dark Timber Coffee and a bunch more All of these companies have great products that are perfect for that backcountry Colorado hunt and the Backcountry Fuel Box is a great way to get to try them out. If you missed out on the march box go sign up there is much more to come. Check it out at www.backcountryfuelbox.com also even if you are not a member check the show notes for coupon codes to some of the companies that are in the monthly box so you can still save that way, but go sign up! Colorado as an Elk State – Beg.